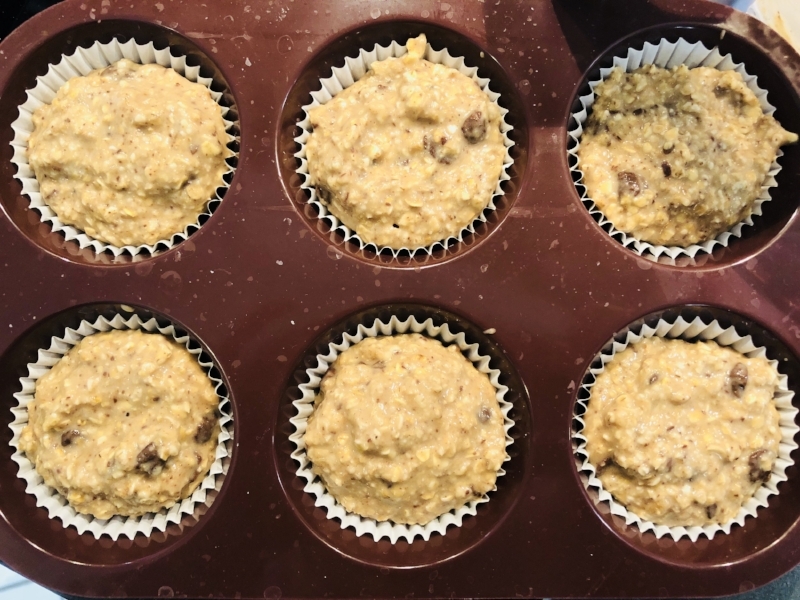 These muffins are a super easy healthy snack to make, and can even be enjoyed for breakfast on-the-go! Only 6 ingredients, they are moist, dense & filling. I use Optimum Nutrition Whey Protein (French Vanilla creme flavor) available worldwide, I order on Amazon - but you can use whatever whey protein powder you have. Once cooled, Store the muffins in an air tight container & consume within 2-3 days. If you don't want choc chips, easily replace them with another dry ingredient like nuts, shredded coconut or raisins!